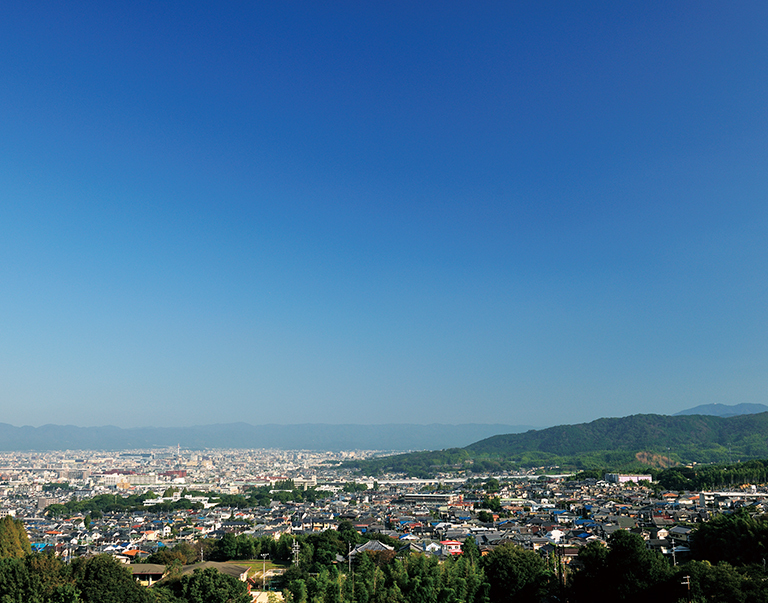 Standing at 233m above sea level, the holy mountain of Inariyama is the southernmost of the 36 peaks of Higashiyama. 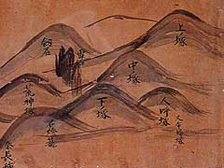 It is also called Mitsugamine (Three Peaks) for its three peaks in an east-to-west row – a sight that truly befits Inariyama’s status as a sacred site. From the closest peak to the shrine, the peaks are called Sannomine, Ninomine, and Ichinomine (Third Peak, Second Peak and First Peak). There is a hill called Ainomine between Sannomine and Ninomine, and another called Kojingamine to the north of Sannomine. 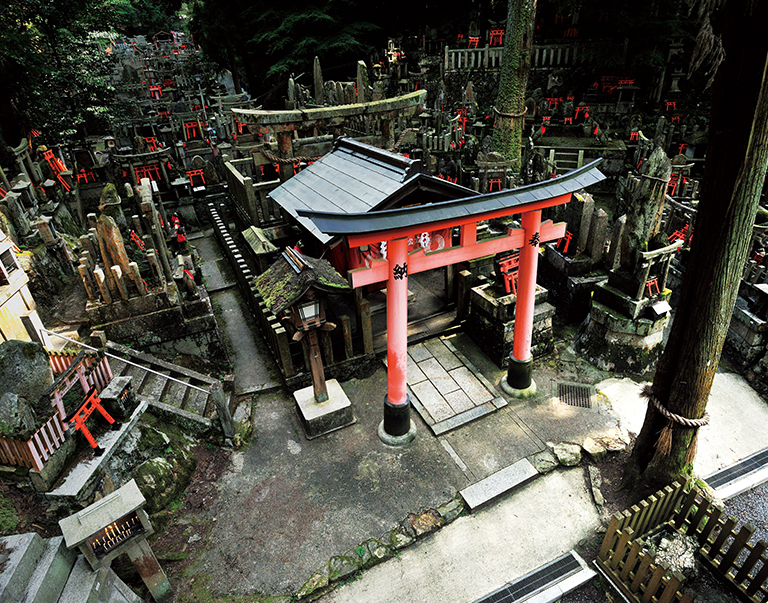 There are many worshiping stones engraved with deities’ names (otsuka) on the mountain, and a pathway leads to the top with several thousand red torii gateways along the way. Many visitors take this path up Inariyama and pay their respects to the various otsuka stones and sites of former shrines were recognized as holy sites (shinseki). People in the Heian period (794-1185) believed that if they visited Inariyama on the first Day of the Horse in February, they would receive good fortune. In the medieval ages, the Inariyama peaks were called Shimonotsuka, Nakanotsuka and Kaminotsuka (Lower Peak, Middle Peak and Upper Peak). In the Meiji period (1868-1912), seven sites of former shrines were recognized as holy sites (shinseki) and mounds called oyazuka were created. This in turn led to the creation of otsuka stones, where people engraved deity names according to their individual beliefs and faith. These deity names consist either of a godly virtue or the name of the deity worshiped by their family followed by “Inari Okami”. The practice of engraving stones and placing them on mountains enabled individuals to express their specific faith. There are now over 10,000 otsuka stones.